Home repair. Those two words are enough to strike a fear into the average homeowners mind! Not knowing how to keep up with minor repairs can really dig deep into your wallet when you have a repair guy come out and fix the problem. But not all repair tasks require a skilled person to make the repair. For an example, have you ever had that pesky electrical outlet that is so worn out, it will not even hold the plug in place? Or one side of the outlet just won’t work at all? 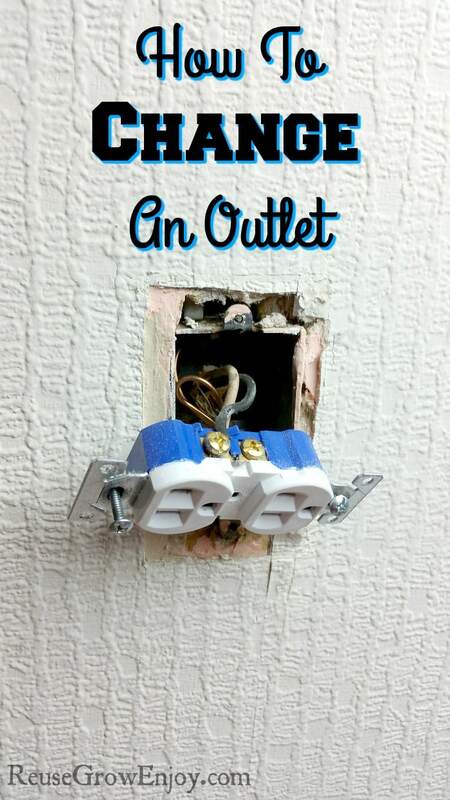 A home repair problem like this is fairly easy and I will tell you how to change a outlet. The first thing you need it to go to your local hardware store (or buy online from places like Amazon) and buy a replacement outlet and cover. They are normally just around one to two dollars. Now, let us get down to how to change a outlet. First, you must disconnect the power to the outlet. What I like to do is plug in a radio, turn it up loud and then go to your fuse panel or circuit breakers and flip them one at a time until the radio shuts off. Then you know you have the power turned off, to the spot you need to replace. You can double check yourself with a voltmeter if you know how to use one or with a handy tool I like to use called a voltage tester (super easy to use and looks like a pen). 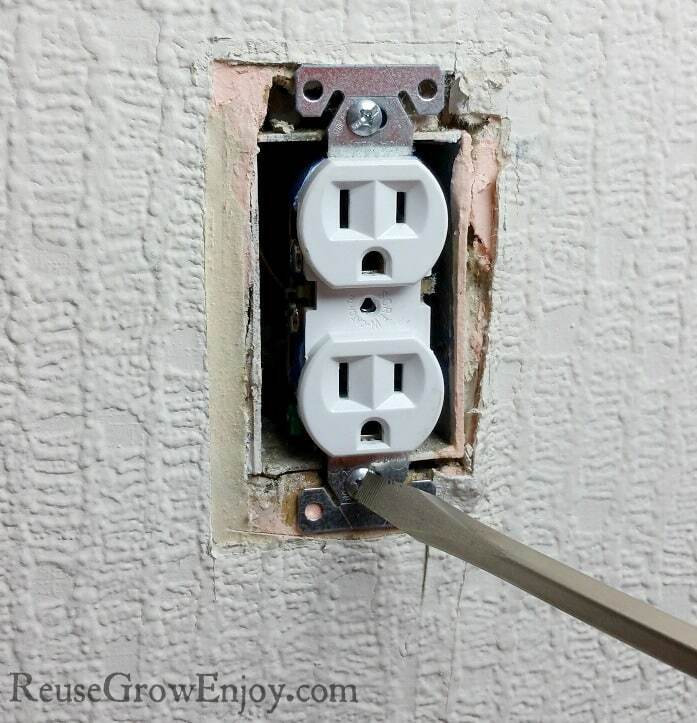 This really is one of the most important steps on how to change a outlet, make sure that power is off. You then remove the cover. Usually one screw in the center, and it will come off. Then loosen the two screws on the outlet itself. One on the top, and one on the bottom. It will be stiff to move after this. Household wiring is thick copper wrapped in insulation that moves rather hard. Gently and firmly pull the outlet out from inside the wall. You should now see three wires. One is called the hot wire, one is called neutral and the thin copper wire is the ground. Unscrew them from each small screw. Then attach these to your new outlet you are installing. 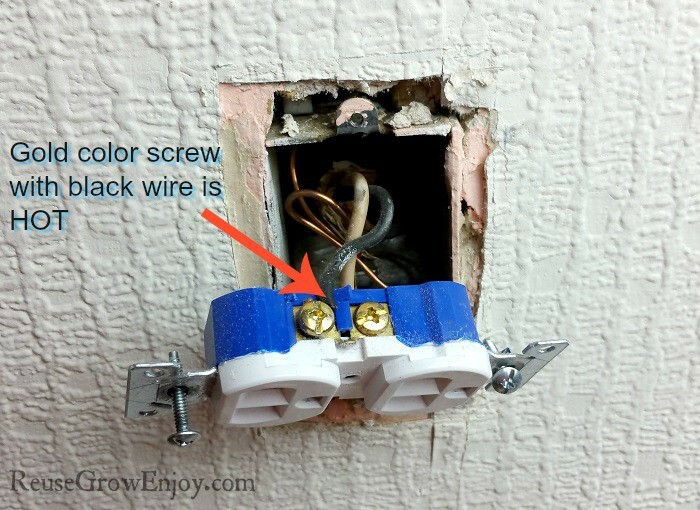 Use the screws on the side of the outlet not the push in wire holes in the back. While using the holes in the back is an easier way to reconnect your new outlet, over time the heat running through the copper wire can make it back out of these connections and will make it not work anymore or even worse, it is possible for them to eventually touch and short out your circuit. After properly reattaching your wires push the outlet back in and screw it to the box, just the opposite of the way you took out your old one. Now put your cover back over the outlet. Click your circuit breaker back on and check it out. Might even be nice to have that radio plugged in. If you hear it, you’ve done it right! 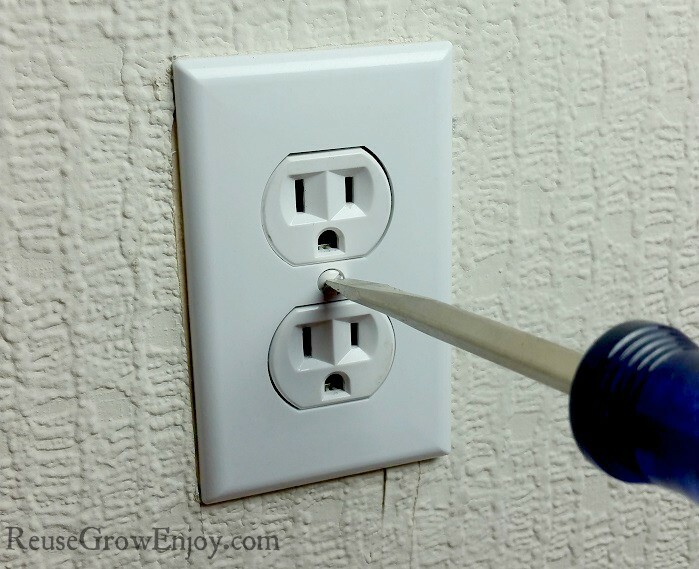 Now that you have learned how to change a outlet, you have saved yourself a lot of money from an electrician coming out and costing you plenty. 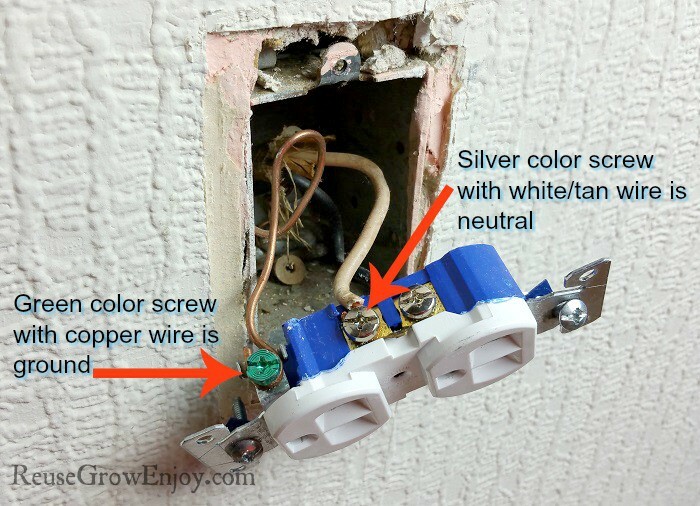 If you found this post on how to change a outlet helpful, you may also want to check out a few of these others. How To Make Your Mower Last Longer! Please note while these are tips to help you save money, I am not an electrician and can not be held responsible for your use therein. Great advice for those that would like to tackle an easy electrical chore. Remember to always call on an expert electrician if the job is over your head. Electricity can be dangerous. Yes it can be dangerous, that is why it is always good to use a tester even after flipping the breaker. This is great. Thanks for sharing the step by step process. I guess I have some repairs to do. I am learning a lot. I will try this for sure. Thanks for sharing. Hi Sarah, I did not want to make the post overly long so did not add a lot of extras. I was just showing how to change it after you have figured out that it is bad and needs to be changed.